The most glamorous slice of history awaits you overlooking the Caribbean Ocean. Round Hill Resort, Jamaica located in Hopewell, Hanover, first opened its doors in 1952. This former sugar plantation, situated on a peninsula that graces the edge of Round Hill Bay, has won the hearts of some of the world’s most sophisticated guests. If you’re looking for style, elegance, a natural old-world charm all wrapped up in a 21st century wrapping, you’re on your way to appreciating what it is that makes Round Hill Resort the go-to destination for the informed. 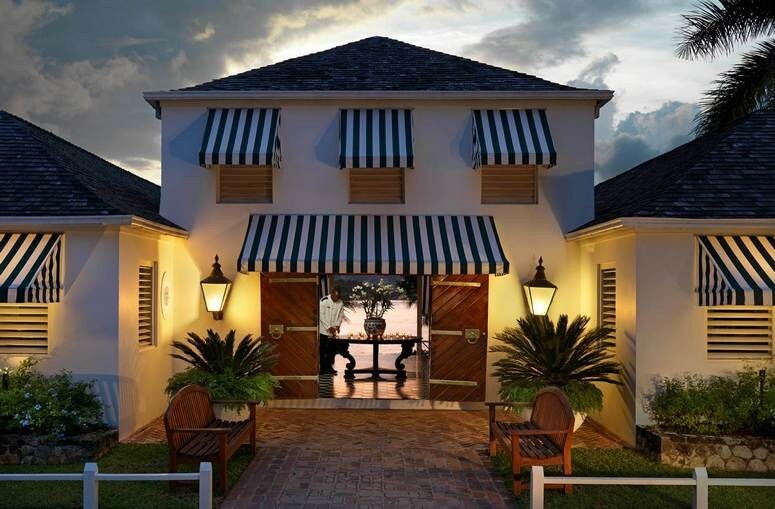 We consider Round Hill to be one of our Top 6 Luxury Caribbean resorts. Spanning 110 private acres, Round Hill Hotel and Villas presents an exclusive and gated private resort, designed to capture spectacular ocean views, immaculately maintained gardens and a stunning sandy beach that all combine to bring the very best of Caribbean vacations to you. Round Hill Resort combines everything you need from a five-star hotel destination while also giving guests self-contained luxury villa accommodations that allow privacy within the gated comfort of this lovely resort. What makes Round Hill Resort so special? It is a mature resort and the grounds are designed to give maximum privacy to guests while at the same time bringing everyone together in a safe and fun environment. 27 unique villas that range in size from 2 - 6 bedrooms, all offer the same level of luxurious sophistication that combines indoor and outdoor living. Air conditioned throughout, the gorgeous bedrooms, dressed in beautiful bedlinens, open out into spacious living areas and terraces that have a breath-taking view of Round Hill Bay. With your fully-purposed kitchen and dedicated staff, you will enjoy your preferred breakfast each morning from the comfort of your villa terrace. Room service can bring you delicious lunches if you intend to spend the day by your own pool. The sense of privacy is enhanced by the beautiful lush landscaping and the benefits of the resort being spread out over a gentle incline is that no one property gets the prime view. Each individual villa captures its own perspective of tree covered hills, blue sea and distant horizons. The villa accommodations are designated as follows: Premium Luxury Villas, Luxury Villas, Deluxe Villas and Classic Villas. The Villas are so cleverly designed that they can be broken down and rented as individual suites, allowing guests to share the pool. Each suite having its own private seating area and terrace. The ratio of staff to guests is another significant advantage over many other resorts. Not only are the staff trained to perfection in their role as gardeners, chefs, housekeepers, nannies – they are there to offer you the best service yet be unobtrusive too. This is the epicentre of the Resort and sits in a glorious location overlooking the sea. Pineapple House boasts 36 bedrooms over two levels. Ocean View King Room, Ocean View Double Room, Oceanfront King Balcony, Oceanfront Double Balcony. Each beautiful bedroom is decked out in the finest Ralph Lauren fabrics and furnishings. There is a private seating area, luxurious bathroom, a spacious and comfortable bedroom awaiting you. The views are spectacular from each room. 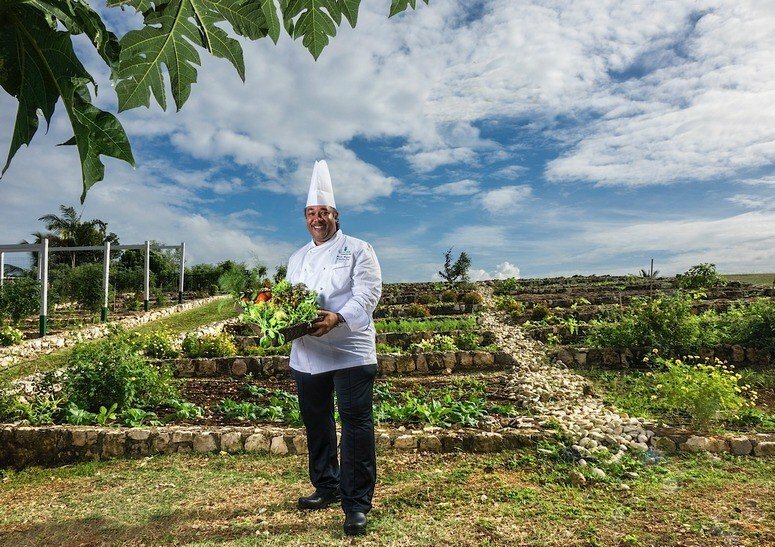 The variety and quality of food ingredients that are grown right on the Round Hill Resort’s organic garden and orchard allow the resident head chef Martin Maginley and his amazing team to conjure up the most delicious modern Caribbean style cuisine for guests. 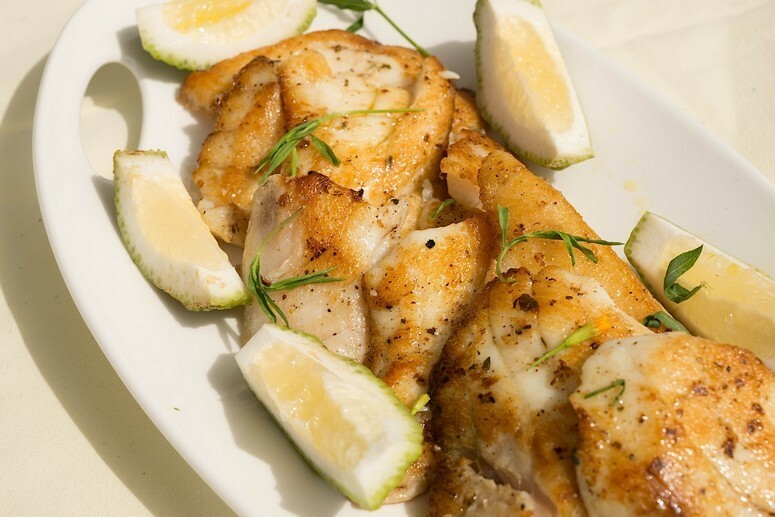 The Grill offers delicious dinners that capture the essence of what’s best about Jamaican food – an abundance of seafood, gorgeous meats, vegetables and fruits presented with herbs and spices that bring the thrill of the Caribbean to your palate. With child-appropriate menus too, the Grill is a smart-casual destination for guests each evening. The Restaurant at Round Hill, on the uppermost terrace of Pineapple House, offers the best dining experience for couples or more intimate parties. This restaurant is adult only and will cater for tables of no more than 6 persons. The restaurant seats 40 so it’s an intimate and romantic experience for diners. The fare is light, delicious food that varies each day. 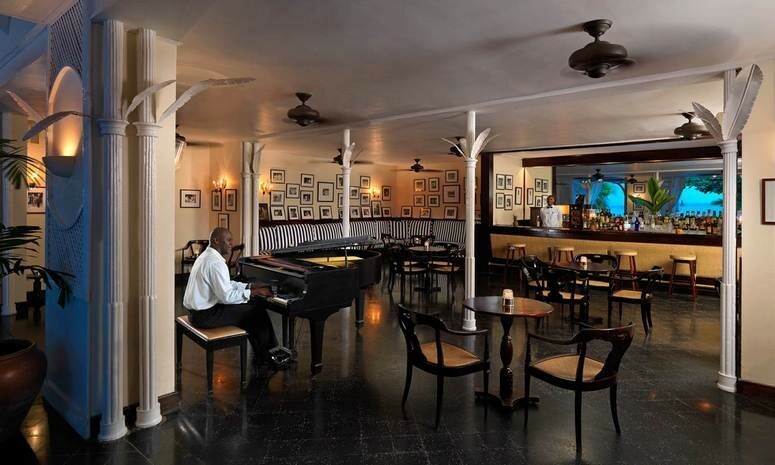 The Ralph Lauren Cocktail Bar in Pineapple House is a cool and relaxed space in which to enjoy the perfect pre or post dinner drink. It also doubles as a gallery of amazing photographs that showcase the many celebrity guests who’ve enjoyed discreet visits to Round Hill, Jamaica since it opened its doors way back in 1952. The parade of beautiful guests like Paul Newman, Grace Kelly, Ralph Lauren, Ian Fleming, Pierce Brosnan, Prince Harry, Jacqueline Onassis, JFK … the list goes on and on. What is really reassuring is how very private Round Hill is about its guests. There are no leaked paparazzi shots of guests at the hotel, as a VIP you can slip into the Resort, have a sublime and secure vacation and go back to your public life fully refreshed after your vacation without any unwanted scrutiny. There are two other bars at the Resort – one is Poolside the other Beachside. These are fun places to grab a gorgeous rum cocktail as you soak up the sun. As well, you can enjoy some tasty snacks or an alfresco lunch as you enjoy beach life. The beach bar offers guests the ultimate Beach BBQ experience each Monday evening when calypso music provides the back-drop of a very fun evening. On Friday there is live entertainment to accompany the Jamaican themed dinner where the renowned jerk flavours and island cuisine is presented to lucky guests. The sounds of reggae fill the air as you and your family embrace the cuisine and culture of Jamaica. The terrific Round Hill spa offers treatments using the celebrated product range of Elemis. Massages, facials, body treatments are all performed by the highly trained beauty therapists. The treatment rooms capture the natural light and sounds of the Caribbean while being private and serene. There are outside treatment spaces too when you want to unify your experience with nature! 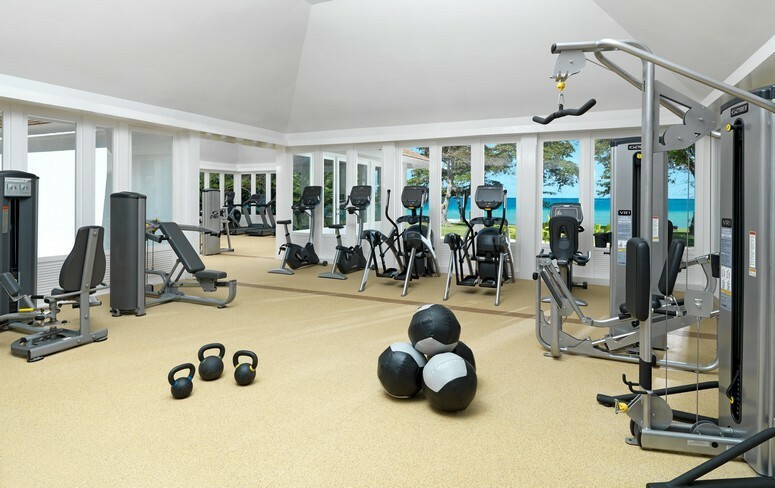 The nearby pavilions offer a fully equipped fitness gym with up to date machines that allows you to maintain your fitness regimes. 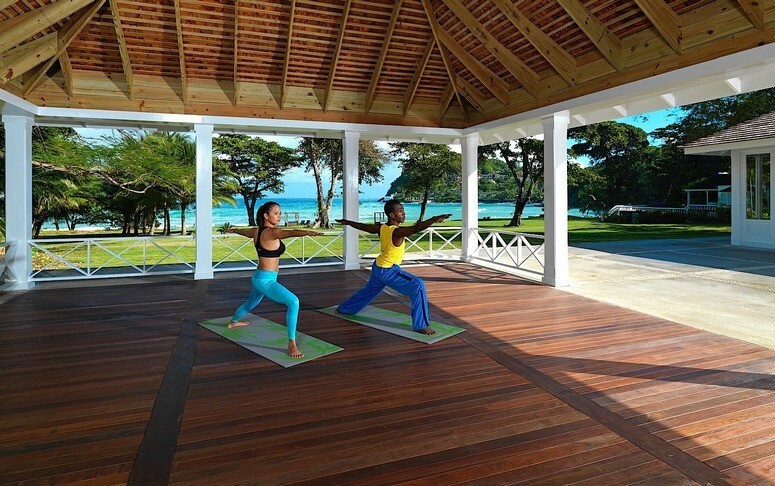 The other open-sided pavilion with views over the ocean hosts regular yoga classes. No better place to get your own private Zen on! If you're into that the Half Moon Yoga classes might also interest you. If you are a keen walker or jogger, the layout of the resort offers well paved pathways that take the most picturesque route around the 110 acre site. An early start each morning as dawn breaks means you will enjoy a private run while the Resort starts to stretch and wake itself for the relaxing day ahead. Following a pathway that curves past manicured gardens and tall foliage, past the organic garden and orchard, under the swaying palm trees – it doesn’t get much better than this. As you get back to your own unique villa, you can arrange to have the breakfast of your choice ready and laid out on your own private Terrace. If a fairy-tale wedding is your goal … and let’s face it, whose isn’t, then let us at Exceptional Villas create a most memorable Round Hill, Jamaica wedding. Each of your wedding guests will feel they are on a second honeymoon when they arrive at Round Hill. The pretty villas allow everyone to have a personal holiday while coming together to celebrate as a group. 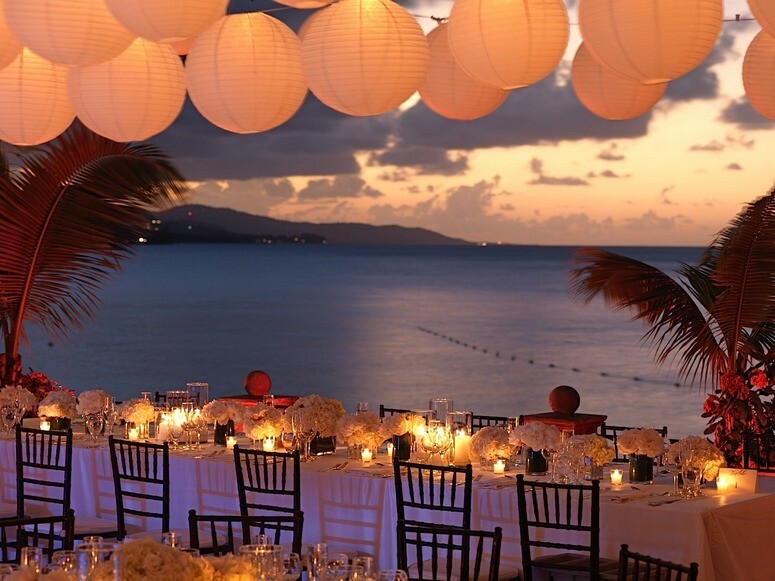 It’s not just weddings that lure the romantic to the shores of Round Hill, Montego Bay. If you want to pop the question and be assured of a positive and definitive response, allow us to organise a moonlit picnic on the beach with pretty lanterns and blankets. As you sip champagne under the stars, Round Hill can create the loveliest memory of such an important occasion. Round Hill is the perfect intimate destination for a small and beautiful experience. At Exceptional Villas we have worked with many couples who have tied the knot at Round Hill. The Resort offers different style weddings. 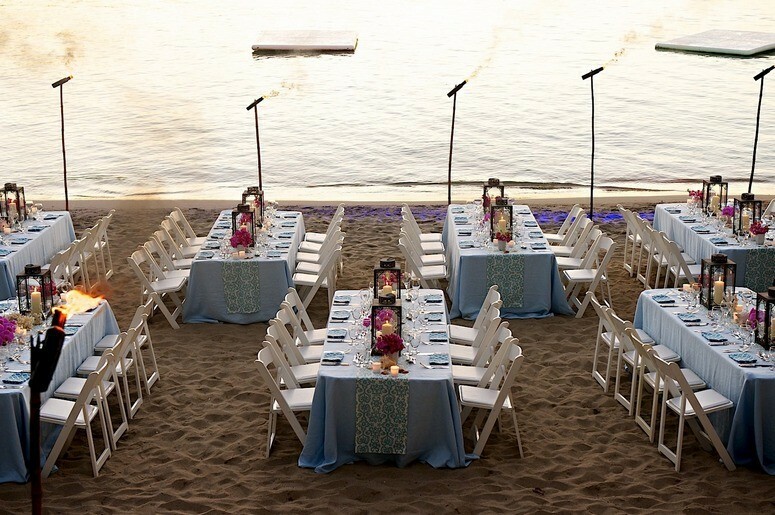 For example, you might want to enjoy your wedding banquet on the beach with beautifully decorated tables arranged along the shoreline. How fabulous to be barefoot in true Caribbean wedding fashion. For a more formal offering, the green sweeping lawns can host the celebrations. Regardless of your specific ideas, do allow us to inspire you. The entire wedding celebration, over many days, can be punctuated with fun outings for the lively and action-orientated guests. 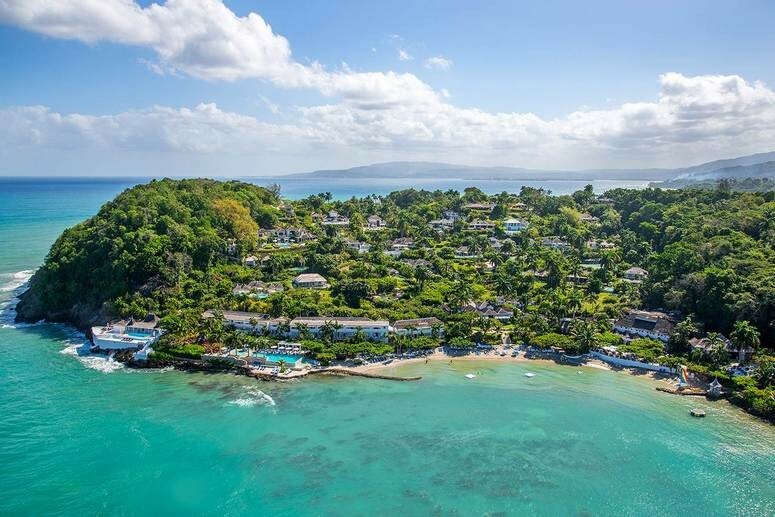 There are plenty of things to do in Jamaica from water-skiing, getting out on the Hobie cats, a boat trip to explore the coastline with snorkelling or fishing. For the more stay-at-on-land types, horse riding safaris can be arranged through Chukka Caribbean Adventures who will take you on a trek through some lovely unspoiled countryside, stopping for afternoon tea at a Polo Club and ending the trek with a walk through the surf on horseback or play tennis. Those of you who get their high chasing the little white ball might ask is there a Round Hill golf club? Technically no, but the Tryall Resort sitting adjacent to the Resort welcomes Round Hill guests to their internationally renowned course. In 1952 a group of far-sighted individuals came together to create a collection of pretty holiday cottages situated on a gently sloping hill in Jamaica. This vision of these remarkable people has evolved over the past 60 years into what is Round Hill Hotel and Villas Jamaica. The original intention of enjoying the spectacular beauty of this wonderful corner of the world without detracting from the natural perfection, is still evident today. It is five-star luxury at every turn but architecture – combining the best elements of Colonial Caribbean features – allows each villa and structure to sit comfortably on this peninsula, capturing unparalleled views over the sea. It’s no surprise that Round Hill has won numerous awards over the years. The level of service and the warmth of the staff make any visit to Round Hill feel like a trip home. Guests return year after year, revisiting a Resort that moves with the times without losing its soul along the way. Jamaica is one of the crowning glories of the Caribbean for a fun and fabulous vacation. And, undoubtedly, Round Hill is one of the very best jewels in that crown. Let Exceptional Villas introduce you to this amazing Resort and build for you a memory that you will cherish forever.